Recently, one of our favorite soccer games got an update! Tiny Striker: World Football is a stupidly awesome 3D soccer game with some of the craziest goals you will ever see. Even for a video game! 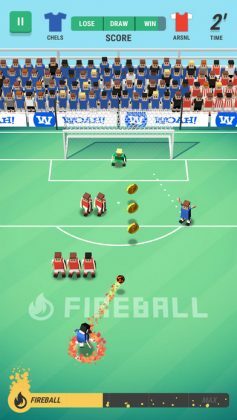 If you’d like to check out our review of Tiny Striker: World Football, you can also do that here. Before we start, we’d like to thank the Fat Fish Team for participating in our interview, and for spending some of their valuable time answering our questions. Thanks guys! 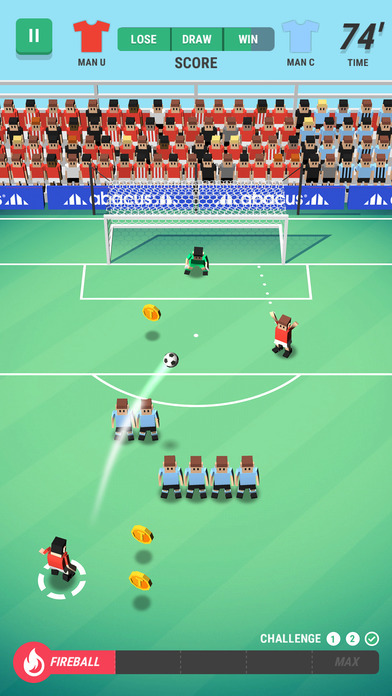 Ok first up, why did you decide to make Tiny Striker: World Football? 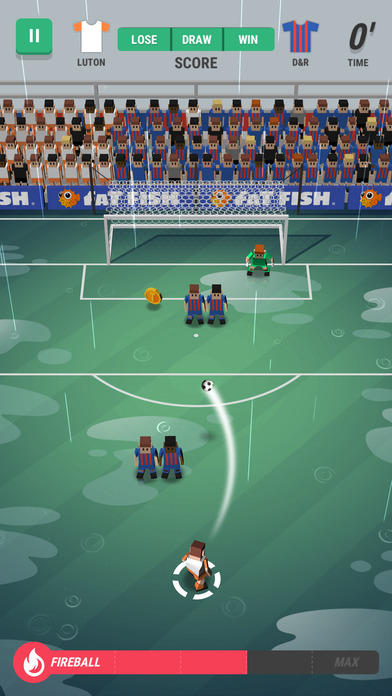 Tiny Striker: World Football is our 6th game in the Tiny Sports series. Our most successful title has been Tiny Striker, so it felt like a no-brainer to improve on the original and bring added depth to keep players playing for longer – something we found players of the original didn’t do. Looking back at your past creations, most of them look to be 2D pixel games. Why did you decide to use 3D graphics in Tiny Striker: World Football? We ported Tiny Goalie and the original Tiny Striker to our 3D engine a few years back. Although 3D, the game engine allowed us to maintain the 2D aspect of these games, furthermore it allows us the scalability to deliver the game onto other platforms, such as iOS and Android, fairly quickly. Tiny Striker: World Football felt like a natural progression for the series. With popular games such as Minecraft and the low-polygon/blocky nature of popular games available today, it felt like the right time to bring the series into a new 3D perspective. It has also allowed us to add alternative gameplay mechanics, such as lobbing the ball and to create more lifelike animated characters. Ok, this is a slightly silly question. 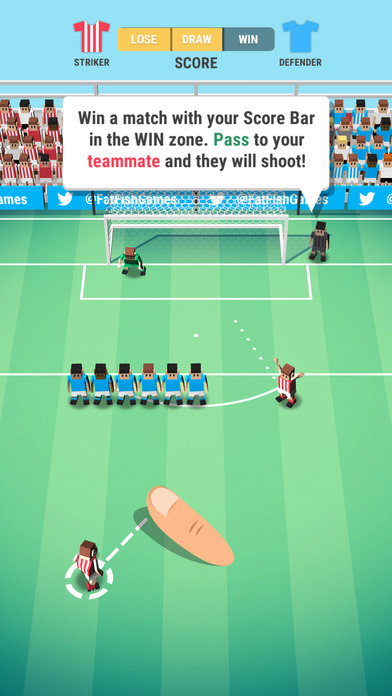 We love the amazing curve shots in Tiny Striker: World Football. How did you come up with the crazy gameplay system that makes all this possible? It has all come from the original Tiny Striker game, really. We wanted to nail the exact same feel that the original game had, because so many commented how much they loved how the ball controlled, and we wanted to appeal to those exact same players. It took us over a week to get the feel of the kick just right in the first game, and it just needed a few tweaks when we placed the same control system into the 3D world of Tiny Striker: World Football. We didn’t want the feel to be too lifelike, and with the complexity of some of the defender grid patterns, we had to give players the ability to curve the ball in a more dramatic way. 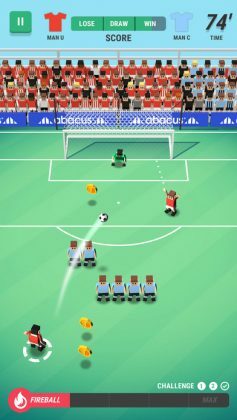 What programming language and or software did you use when making Tiny Striker: World Football? We use a number of tools to create Tiny Striker: World Football. The game was made in Unity-3D game engine, and we use tools such as Adobe Photoshop to create the artwork and Autodesk Maya for modeling the 3D objects and characters in the game. Character animations are motion captured to help bring life to the characters. Ok, here is a difficult question. What was the hardest problem you needed to overcome when developing Tiny Striker: World Football? It is normal in development to always run into problems. It is our goal to release the game with as few glitches and bugs as possible, however, we can’t cater for all different types of phones and how people use them. It has been fairly smooth running over 14 months of the game’s development. Our biggest challenge has been writing the backend to the game, with its complex systems that generate the teams and their grid patterns, through to modeling match outcomes for other teams and leagues, and all in a near realistic way. One of our next biggest challenges we face is Android, with its many screen sizes and specifications. We’re very happy with the current state or our Android build, which will be released next week (week commencing 27th February), however, the real test is the feedback from Android players. We are always inspired by the games we play or particular game mechanics we see in other games, whether it be on consoles and desktops, or on mobiles and tablets. For us, the fun game mechanic seems to come to us first, and then we think about what type of game or genre could work around that mechanic. We have bucket loads of ideas floating around the office; choosing what one we develop is the hardest part! A few words to Tiny Striker: World Football fans on Edamame Reviews. 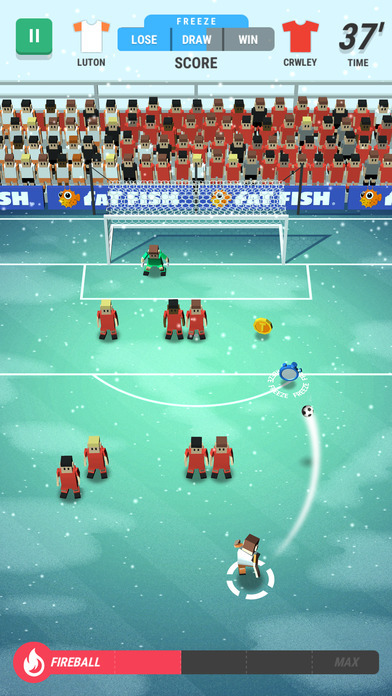 We have plenty of exciting new features and improvements waiting to go into Tiny Striker: World Football. If the game continues to be played and supported, we have a good reason to keep improving the game. We read all your feedback, so if you have any suggestions, please do get in touch with us. Love our interview with the Fat Fish Team?